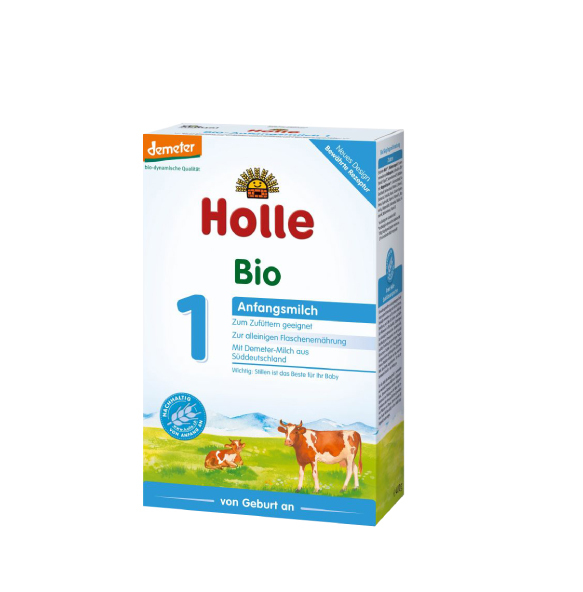 "Holle Organic Infant Formula Stage 2"
Buy in bulk and save! For instance, if you buy the Big Kit (36 boxes), the cost is approximately $22.22/box, including shipping. And, if you buy the Starter Kit (11 boxes), the cost is approximately $24.09/box, including shipping. Holy smokes! Related links to "Holle Organic Infant Formula Stage 2"
It's good taste. My Baby really likes it and eats well. Highest quality Demeter labeled formula we could find. And it mixes easily! Fantastic service and even got free products!! 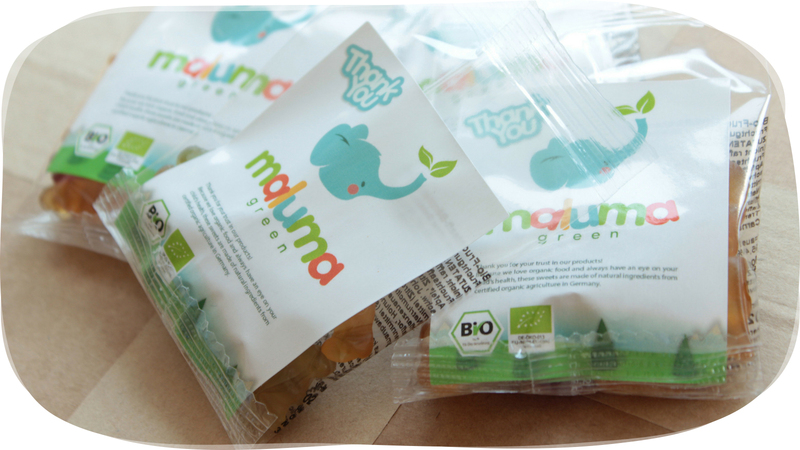 Thank you Maluna Green! Our son has been using this formula for almost 3 weeks. He seems to tolerate it pretty well, slight tummy issues at first but that is probably expected. Only suggestion is to include English, Spanish, etc instructions along with items in shipment, if possible, to include samples. The instructions in English that come are general, no amounts are given. The instructions online are not accurate as we found out when we emailed to get clarification for correct amounts. The samples that came are great and a nice way to try different things. Customer service by email is great and pretty responsive, each time I have called I get a voicemail so I just email. Overall, satisfied with product knowing our son is getting "good stuff" in process of transitioning from nursing. Very great customer service. Delivery is relatively fast as I understand it comes over the seas. They offer 10$ coupon all the times when you order. And I love the way they pack: all is clean, tight, covered with extra foam and plastic around, always a thank you note.. Well done. I wish shipping could be cheaper- but it's something they are I am sure working on... Recommended!!! For moms who are not able to breastfeed (like myself) this is seriously the next best thing. The regulations that go into making this formula are much higher than what we have in the US. I trust that my baby is getting 100% organic, no GMO formula ... everything she needs without the extra scary stuff she doesn't. This site makes it a breeze to order - highly recommend! My baby took it well from stage 1. Shipping was very good and well packaged. Our baby loves this formula and I love being able to give her the best option on the market! Worth spending the extra money compared to other US organic formulas. Just wish it could come quicker! My son loves this formula and I find Organic Baby Food so easy to use. They always have the options available, are timely with their shipping and always email you updates. Super reliable!! ANAZING. Even the nurses in my pediatricians office have started to use holle..... Unbelievable that the formulas in the us are made of what they are made of... My son has never been breastfed and is thriving and healthy and free of the issues we are led to believe accompany formula feeding... Has been on holle since birth. I just changed over to using formula and as all moms know the stress of finding the right fit and then place to purchase can overwhelm you. This common was easy to use and provided exactly what I was looking for. With free and more importantly fast shipping they have saved me! My baby loves the formula! I can personally taste the difference with other formulas I've tried (including organic ones). Holle is less sweet and tastes more natural. Great product! My 6 month old is really enjoying the Holle formula so far. SO easy to order and my baby loves it! If it is as good as the Formula 1 which I am sure it is. Will be ordering again. My baby loves this milk and its so good for him. My son loves this formula and he has never experienced any of the constipation issues common with the American formulas. I am happier knowing that he is drinking an organic formula that is not loaded with sugar. This company is also very reliable and has the best prices when shipping to the US. I breastfeed my baby girl for 3 months when I decided to give her formula I couldn't have made a better choice than Holle organic formula. The product is great, its gentle easy for my baby to digest, it doesn't have the weird smell of regular formula, it tastes good and you can even see the difference in the baby's stools. I love the product I would definitely recommend it!! My girl is 9 months old and this is the only formula she enjoyes. You can feel the quality and the difference between Holle organic formula and other American formulas. Thank you for a great product. I have been happy to supplement with this formula almost 7 months now. We really like Holle formula. We have used since I transitioned from breast milk after going back to work. I like the quality and organic option, I feel it's the best replacement. Our baby with acid reflux has been on this formula for a month now and it is great! We are so glad to have found vendors that make it affordable and accessible! My daughter is 2 and she is allergic to most regular milk products on the US market. Through extensive research on the internet I found Holle Organic and noticed the high ratings of this product. I decided to give it a try and was very pleased with the quality of the product and also the customer service. I have been purchasing Holle organic in the past 88 months. My daughter loves it. Fantastic product and fantastic company. I spent many hours researching the best organic formula for my baby. Being in America, the choices we have to choose from are honestly not that great. Unfortunately American regulations allow alot of horrible ingredients in our babies food. All these American corporations only care about profit and not what we are truly feeding our babies. So sad but true. For example almost every formula brand from America has corn syrup, palm oil, and many other harmful/bad ingredients in them. I didn't want to buy any of it. So I researched and found that European regulations are actually very good when it comes to organic farming etc... I opted for Holle formula for my baby. It is honestly the best in the world. No joke. My son loves it and I have the peace of mind that I'm feeding my baby only the BEST formula on the worldwide market! I buy 10-20 boxes at a time and get it shipped to my home in California. The shipping is worth it. 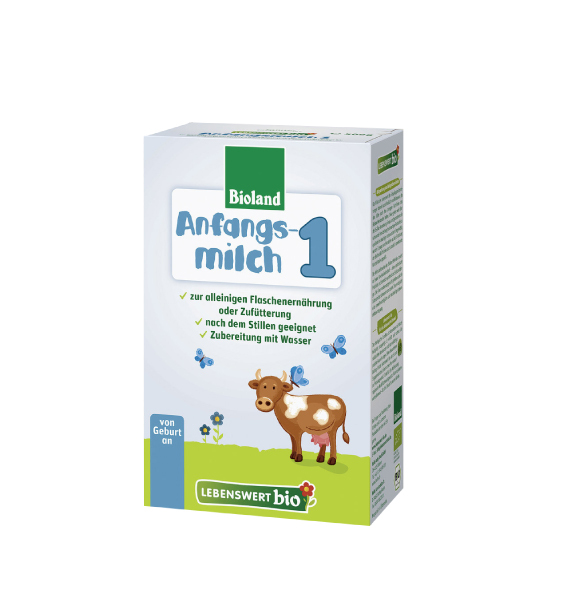 I would only recommend organic baby formula from Germany. I trust it and I know exactly what is in it without all the smoke and mirrors. I wouldn't settle for anything less. Go Germany for making such a great product!!!! Thank You! We love this formula! We started using it as a supplement to breastfeeding and have continued using it after weaning at 9 months. We're big fans of Holle here! Best formula I found find to supplement breast feeding. I even have it shipped to the United States because it is superior to any formula I can buy in the states. This is a great formula and my son loves it. The customer service is excellent. I was worried about the reliability of delivery when ordering. Everything was well packaged and delivered in less than 10 days! Great products that I am so glad to have access to through organic baby food. I love it, I have bought 28 bags,it's good milk,I will support you always,thank you! My son loves this formula, and I feel great giving him the best possible substitute for mother's milk. It took a while to arrive, given that it shipped from Germany, so order in advance! I was happy to find this formula and my baby was happier. I love the fact that it has no added sugar nor soy. love it -- prefect supplement for breast milk! This product is awesome, super healthy and in this website it arrives perfectly! Best formula by far! We supplement with Holle, and our baby loves it. No bad reactions, and the formula itself smells/tastes great. Baby loves it! Finally I can get a baby formula that meets our standards. Great ingredients and so glad to have found this! After months of research, Holle Formula was the best option available. I used Holle with my first born who is now 4 and started my 8 month baby on Holle 2 when my milk supply vanished. I ordered holle infant formula and it came quickly and my baby loves it. We have used Holle formula as a breastfeeding supplement for a couple months and have loved it. Our son responds very well to it and has never had any problems. We have also love dealing with this site. Very good customer service and prompt response to all questions. Feeding my daughter healthy, organic formula is a must, and the price, shipping and timeliness of Organic Baby Food makes it easy and convenient to purchase Holle for her! Please note that the Stage 2 formula is not as dense as the Stage 1, so you may want to double your order - 9 boxes will end up being about a 2 month supply. This brand is the only brand I will use for my baby. We used stage 1 since the baby was 5 months old. We switched to stage 2 recently and we are not disappointed. To add, this website is the only site that has effectively shipped to my house in a timely manner. My 7 month old loves this formula. In her 1st month, we had to change her formula many times due to constipation, a lot of gas, and baby was very fussy with other formulas. She is thriving and my husband and I are extremely pleased with holle brand infant organic formulas. This is by far the best formula available in the world! The ingredients are pure. 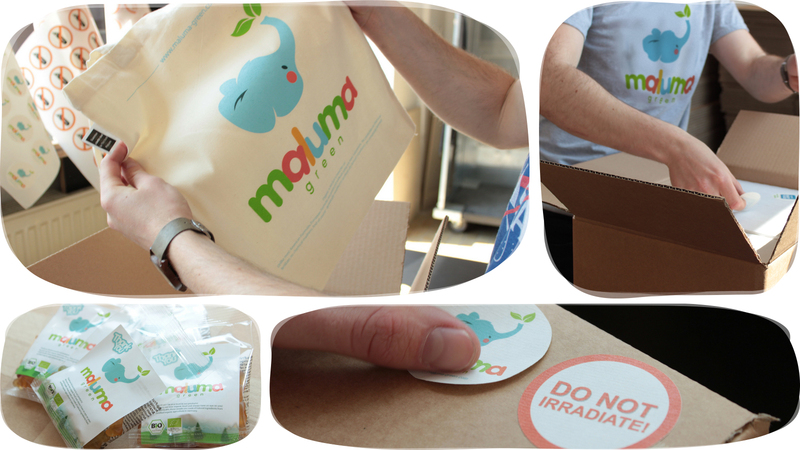 As soon as we started this product our little one's reflux and gas immediately stopped. It makes me wonder what is in the formula sold in the U.S. I'm sick of the U.S. formula market and how they are poisoning babies. If you are not familiar with an ingredient or can't pronounce it than in my opinion it shouldn't be in the product. My little one loves this formula. He has been exclusively breastfed until now (8 months) and I was very nervous about introducing formula. I have peace of mind with how good this one is for him and so happy that he loves it so much. This stuff is fabulous! My son had major problems with constipation on US formulas, but no issues here. He also seems happier as he's not dealing with gas and discomfort from the other formulas. When you can't do breast milk, this is the best out there. Very unfortunate that it's not available in the US, but grateful to find it here. Excellent product that I can feel good about, and wonderful service from the team at organicbabyfood24. Used this formula right after the first one. my baby must feel better since switching from enfamil because he stopped throwing up. he loves it. no gas. Service was exceptional; quick delivery, etc. After extensive research we decided it was best for our family to purchase Holle Organics formula. We use it with breast milk to supplement. Our son has had no issues with the formula; easily digestible, no reflux, etc. we are happy with our purchase. I wanted to thank you for the fast response, plus the fast delivery of my baby formula - fantastic service! We are very pleased with the Holle products. I d initially tried several different brands available from Supermarkets and High Street outlets but my son (now aged 13 months) didn?t take to them. However, once he?d tried the Holle Formula 1 we knew that was the way to go. He went on to work his way though Formula 2 to Baby Milk 3 and although now on solids he is still very keen on his bottle and is growing very strong and energetic on its contents. Yes, it costs a bit more than the ?common or garden? variety but we know what?s in it, where it comes from, and ordering new supplies is dead easy and the delivery service from Sabine and her team is swift and first rate. Holle Formula milk is worth every penny as far as we?re concerned. My little girl is drinking Holle formula since birth. At first I used it to top up breast milk intake and she had no problems switching between breast and formula in the same feed and I think that is partially because of the natural taste of Holle (yes I have tried it). She is 14 months now and growing well on it and one of the great things is that Holle mixes well with water at all temperatures. She is now on Holle 3 and enjoys it as much.I was devastated when I found out I wasn't able to breastfeed exclusively and had to feed my baby artificial chemically enriched formulas, but Holle's organic, additive-free origin gave me confidence and a peace of mind. Baby loves it and does really well on it. Shipping is about 10 days. My baby girl definetely feels differently when she eats Holle formula. the is no comparison to any US formulas and even with the shipping costs- overall price is cheaper. We Love it.